Feel free to call us at 888-642-2007, email us at info@elevationcg.com , or fill out the form below and we will reply within 24 business hours. Ryan Smith brings with him more than fifteen years of business experience in market evaluation, property analysis, management systems, due diligence and investor relations. Mr. Smith is the co-manager of multiple investment funds, which specialize in investing in MHCs. Mr. Smith graduated from the University of Tampa with a Bachelor’s of Science in Computer Science. An athlete, he was highly recruited for both baseball and basketball and was drafted as a senior in high school by the Baltimore Orioles, and again in college by the Anaheim Angels. Mr. Smith pursued his athletic talents by playing baseball throughout his college experience. His foresight and ability to communicate the state of the marketplace has propelled him to be a featured commentator alongside the likes of Mayor Rudy Giuliani, General Colin Powell and other notable individuals. He is currently on the board of Young Life College – UCF and is a member of the Advisory Board for the National Christian Foundation’s Orlando chapter. Mr. Smith lives in Orlando with his wife and four children. Jamie Smith is an avid real estate investor with over 12 years of experience investing in MHCs, single family residential and storage units. 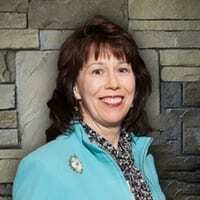 Mrs. Smith is the co-manager of multiple investment funds, which specialize in investing in MHCs. Mrs. Smith has experience overseeing the management of various types of real estate properties, focusing on investor relations, capital raising, and acquisitions. Mrs. Smith has managed a rent collection company, and is the manager of the Ryan and Jamie Smith Foundation. She authored a highly reviewed book on investing in MHCs and has spoken at numerous conferences on the topic. Mrs. Smith graduated from the University of Central Florida with a double major in Business and Psychology. She lives in Orlando with her husband and her four children. Mr. Dahn has directed the acquisition, development, management and/or disposition activities of over 95 properties and the formation of more than 35 private limited partnership funds raising more than $40 million in equity. Those properties consisted of over 95 self storage facilities in eleven states, industrial centers, office parks, RV parks and a resort area hotel. Mr. Dahn holds an MBA from the University of Michigan and a Bachelor of Science degree from the University of Florida. 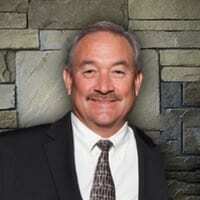 Mr. Dahn is a California Licensed General Contractor and Real Estate Broker. Prior to joining C.J. Bonner Corporation in 1976, the predecessor to Dahn Corporation, Mr. Dahn was Vice President in charge of Joint Venture Department at Western Mortgage Corporation and a loan officer at Continental Mortgage Investors. Ms. White’s experience with Dahn Corporation began in 1986 and she initially worked with the acquisition, development and disposition team. As more properties were acquired, Ms. White switched her focus to the business development and direct management over all self storage facilities in the portfolio. Ms. White visits each of the facilities several times per year, initiates capital improvement projects and acts as liaison between local management and the corporate office. She oversees customer service programs, advertising campaigns, rate adjustments, discount policies and incentive programs. Ms. White holds a Bachelor of Arts degree from California State University Long Beach and previously was employed by Equitec Financial Group in the acquisition, development, management and disposition of commercial properties throughout the United States. 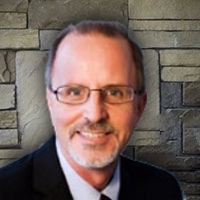 Mr. Bradley has worked with Dahn Corporation since 1979 and is responsible for the acquisition, development and disposition for all self storage facilities. 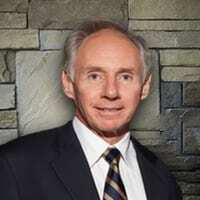 He works directly with real estate owners, brokers, development partners and lenders in dozens of markets nationwide. Mr. Bradley oversees market research, contract negotiation, project design, engineering and procurement of governmental entitlements. 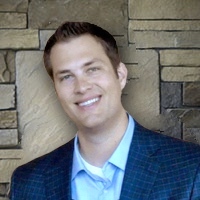 Mr. Bradley holds a Bachelor of Arts degree from San Diego State University and is a California licensed real estate salesperson. Mr. Bradley’s prior employment was a leasing manager and tenant improvement construction manager for Canoga Park Medical Investment Group. Mr. Jordan is responsible for the financial management and reporting of all operating units under management. He has worked with Mr. Dahn since 1983 and during that time managed a staff which tracked annual revenues in excess of $40 million. Mr. Jordan supervises the payment and accounting of more than 3,000 monthly invoices and prepares monthly, quarterly and annual operating statements. His team prepares all operating budgets and forecasts obligations to all owners. Daily site level transactions are reviewed and all banking is controlled from the corporate office under Mr. Jordan’s direction. Mr. Jordan cooperates with several independent audit firms hired by our investors and works with all regulatory agencies and outside accounting firms. Mr. Jordan holds a Bachelor of Science degree from St. John Fisher College and is a member of the National Notary Society. He previously worked for Stanford Applied Engineering and Western State Pension Corporation. Ms. Naeve’s experience with Dahn Corporation includes business development, financial analysis, investor relations, legal, contract and risk management issues with the asset management portfolio. Ms. Naeve has worked with Mr. Dahn since 1983 and has coordinated the capital raise of more than $40 million in equity for private placement offerings. Ms. Naeve prepares detailed financial analysis for site development analysis, drafts and negotiates acquisition, partnership, loan, leasehold and management contracts and reports to owners and investors concerning specific performance, strategies and objectives for individual properties. Ms. Naeve has managed project acquisitions and developments including all aspects of the sales transaction, procurement and placement of construction, permanent and refinance lending of portfolio properties. Loan originations under her leadership are in excess of $150 million. 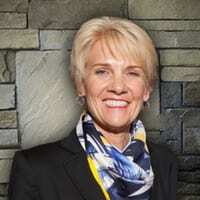 Her skills include the creation and implementation of contract administration procedures and budget analysis tools used in the corporate office for the construction of storage facilities throughout the country, as well as ongoing capital improvement and maintenance projects for the current asset management portfolio. Ms. Naeve holds a Bachelor of Arts degree from the University of California at Irvine and an MBA from the University of Southern California.